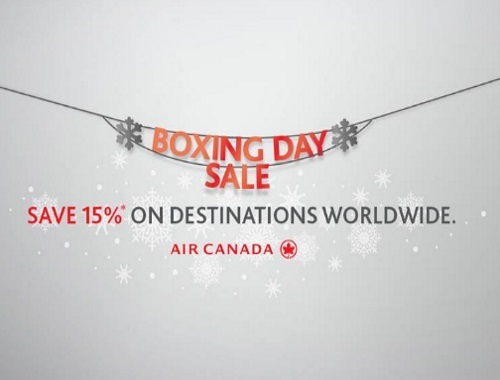 Air Canada has a Boxing Day Sale on now! Save 15% off on destinations worldwide! Book by December 29, 2016, at 11:59 pm from your city of departure in Canada. Valid on Tango, Flex, Premium Economy (lowest) or Premium Economy (flexible) base fares.